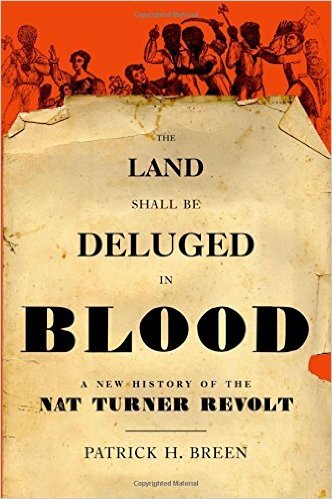 Patrick Breen, The Land Shall Be Deluged in Blood: A New History of the Nat Turner Revolt (Oxford University Press, 2015). Gary Gallagher and Joan Waugh, The American War: A History of the Civil War Era (Flip Learning, 2015). Matthew W. Hall, Dividing the Union: Jesse Burgess Thomas and the Making of the Missouri Compromise (Southern Illinois University Press, 2015). Elaine F. Parsons, Ku-Klux: The Birth of the Klan during Reconstruction (University of North Carolina Press, 2016). Franklin D. Vangnone and Deborah E. Ryan, Anarchist’s Guide to Historic House Museums (Left Coast Press, 2015). Wasn’t easy to get a copy. Definitely looking forward to reading it.